« Is a New Journey Needed for Business-Critical Applications? With the Spring version of the OpenStack Summit coming up in just a few weeks, I’ve been thinking about the key indicators or questions that I have about OpenStack as 2013 continues. 1. Who are the major OpenStack customers? While each OpenStack summit highlights a new set of users or use-cases, the majority of them are either small-scale or only using a limited number of OpenStack services. This would align to the modular nature of the projects, and to some extent their competitive goal vs. AWS, but it doesn’t align to a complete “stack” solution. When is it realistic to see Enterprise customers that were previously VMware-centric move to a complete OpenStack environment? 2. Are there already too many distributions? Should they be considered competitive, similar to Linux distributions in 1990-2000s? For a project that is three years old, what is a reasonable number of distributions to have appeared on the market? How are customers supposed to be able to keep track of all the variations? Does the OpenStack community expect this number to grow (limited / significant) before it begins to pare down? One of the main goals of OpenStack is to allow open, interoperability between clouds to (potentially) facilitate open movement for applications or data. We’re already seeing the early Service Providers (Rackspace, HP Cloud) having incompatible versions. Is open cloud still a goal, or have market priorities made that almost impossible? 4. How to get it installed? 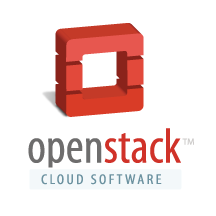 The best OpenStack developers have collected at a small number of companies (Piston Cloud, Nebula (NASA/Anso Labs), Rackspace, Mirantis, MorphLabs) and OpenStack is still considered to be fairly complicated to install and operate. What resources do customers have to get an OpenStack environment running? How many SIs and VARs are starting up OpenStack practices (eg. Colin McNamara (@colinmcnamara) at Nexus IS has created an OpenStack practice). 5. Where is the next major architecture re-write? Several of the projects have gone through major re-writes or re-architectures (Compute, Block Storage, Networking). What other areas are expected to go through significant re-architecture in the next 6-12 months? What new projects are expected to start in the next 6-12 months? 6. When do operational-tools get integrated (or appear)? When can the market expect to see OpenStack projects begin to move some of their focus to operations-centric capabilities? When is it expected that we’ll begin to see 3rd-party tools begin to become integrated into OpenStack (Backup, Monitoring, etc.). Is this expected from existing vendors, or primarily only via other open-source projects? 7. Where are the scaling guidelines? Is there a group within the OpenStack foundation that has the charter of creating best-practices or reference architectures, or is this expected to come from individual companies (eg. Cloudscaling, Rackspace, etc.). Are any 3rd-party labs/groups beginning to test various project implementations from vendors to determine scaling or performance characteristics? 8. The target: AWS or VMware? While some of this will be determined by the market and the individuals involved with OpenStack, there have been mixed messages from the leadership (eg. Boris Renski @ Mirantis, Chris Kemp @ Nebula, Rackspace leadership) about the type of system that OpenStack is attempting to compete with. Are the projects more focused on AWS type services (web-scale applications), or VMware type environments (Enterprise applications), or has OpenStack gotten broad enough to try and service both types of environments? 9. What is the VMware role in OpenStack? At this week’s Partner Exchange, I didn’t hear OpenStack mentioned one time. I asked a few of their engineers, specifically in the vCloud group, and either got a “I don’t have any details” or a “We never see that in the marketplace” answer. We know that the Nicira team is heavily involved in OpenStack Quantum, but it’s still very unclear what other involvement VMware will have with OpenStack. It’s starting to appear that their parent company, EMC, is moving faster than VMware. I'm curious to hear more about OpenStack's projections for 2013. I've seen throughout the web that many experts believe that this is the year is really takes off. These are all good points on a project that, from what I gather, not a lot of people know about. I think it's good for cloud computing and IT...not so sure about the security aspects/ramifications. Yet another moving part in the already complex IT environments in which we work. Worth keeping an eye on. @Kevin - OpenStack does have a fairly large following at this point, http://www.openstack.org/community/ (Community) and http://www.openstack.org/foundation/ (Foundation), but you do ask a good question about how the different levels of security are properly coordinated across the various projects. Not a simple answer as things like GRC are probably going to be added as external projects.